Your child is the perfect age to learn a new language! Introduce your child to a new language and culture at the best age. Complement a school program to help your child excel. Reinforce a home or heritage language. Studies show that early introduction to foreign language study develops children's verbal skills, intelligence and creativity, and prepares them for tomorrow's increasingly global world. 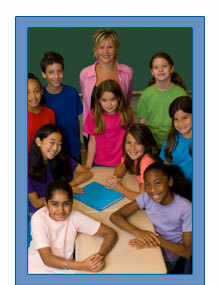 The Language Institute offers Saturday and weekday classes for children age six and older. Our groups are small and highly individualized with a maximum of five children per group. Groups meet once a week for 10-week sessions throughout the year and we try to accommodate parents' scheduling requests. On-Site Classes — We can bring a comprehensive, affordable foreign language program to your child's pre-school or elementary school. Let us design an on-site enrichment program to meet the needs and interests of the school community. Our Method — Our interactive method actively engages children with age-appropriate materials and fun, hands-on activities to develop oral comprehension and speaking skills appropriate to each stage of development. Children are immersed in the target language using a variety of visuals, games, songs, creative projects and task-oriented activities. Our method makes learning a new language effective and fun! Our instructors are native speakers or native proficient and are qualified, professional teachers. Registration — For a registration form, right-click here, then select "Save Target As..." or "Print target".